A new bridge set to open in Saskatoon will be named after an iconic Northern Saskatchewan Indigenous leader. 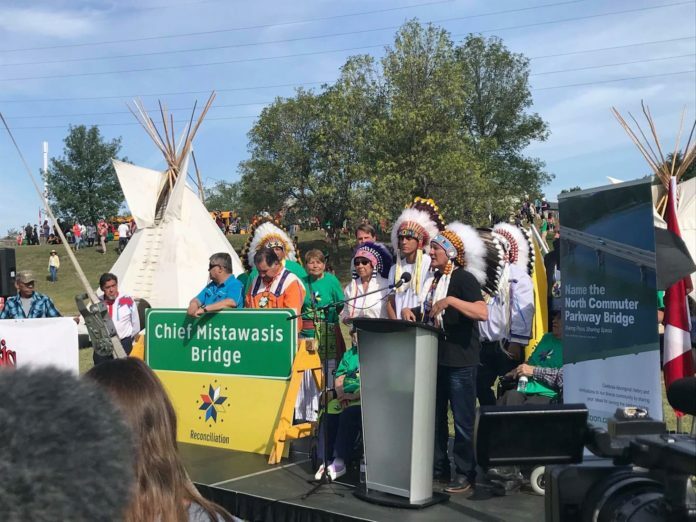 The city has decided to name the new North Commuter Parkway Bridge after Chief Mistawasis, the first chief of Mistawasis First Nation and one of the signatories to Treaty 6 in 1876. Saskatoon Mayor Charlie Clark made the announcement as part of the Rock your Roots Walk for Reconciliation and National Indigenous Peoples Day on Thursday. Chief Mistawasis was one of more than 400 names submitted as part of a community engagement exercise that started in July 2017. 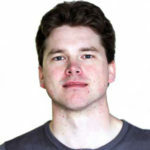 The main goal was to find a name that would help educate Saskatchewan residents on Indigenous history and culture. The project also included four educational vignettes, school lesson plans and tool kits. The decision to honour Chief Mistawasis was a welcome one for the community’s current chief, Daryl Watson. The new bridge is set to officially open to the public in October.